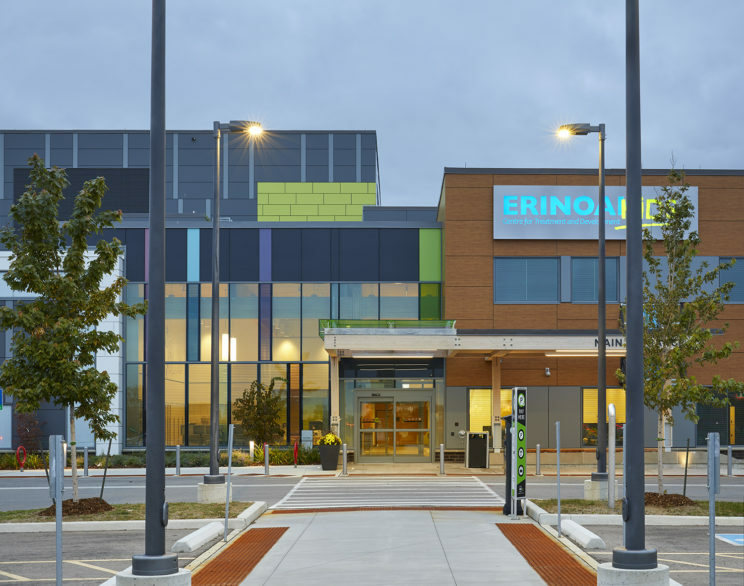 The ErinoakKids (EOK) facility provides family-centred care and treatment to children with a wide-range of abilities, including physical and/or developmental disabilities, communication disorders and autism. Human Space* provided universal design consulting, comprehensive drawing reviews and recommendations for the construction of three sites in Brampton, Mississauga and Oakville. The design details and building programming focused on the needs of children with disabilities and their families. Accessible playgrounds, classrooms, gyms, and pools are key features of EOK. 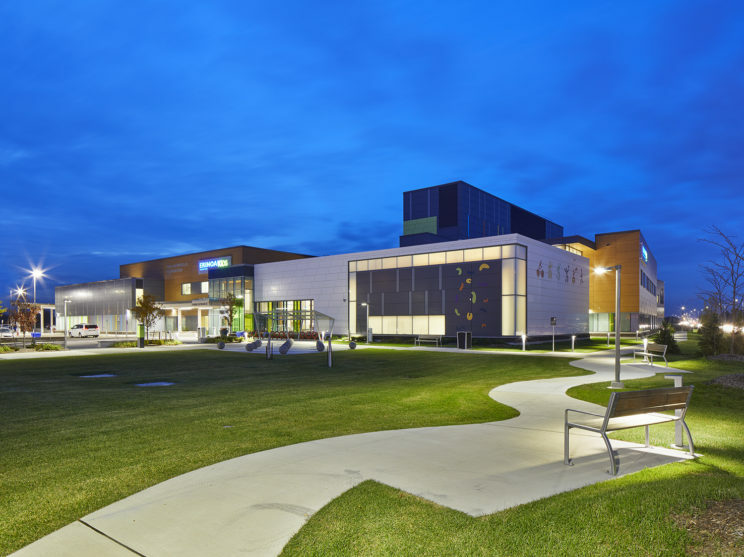 The three EOK centres seamlessly integrate accessibility design strategies that help children with disabilities achieve optimal levels of independence and well-being. The ErinoakKids facility provides family-centred care and treatment to children with a wide-range of abilities, including physical and/or developmental disabilities, communication disorders and autism.